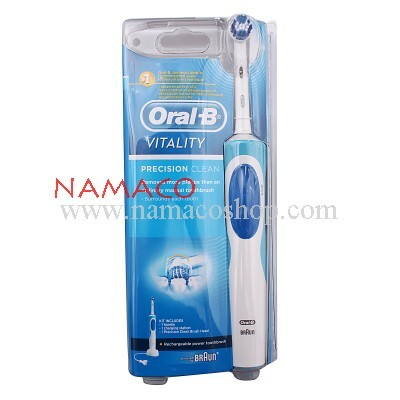 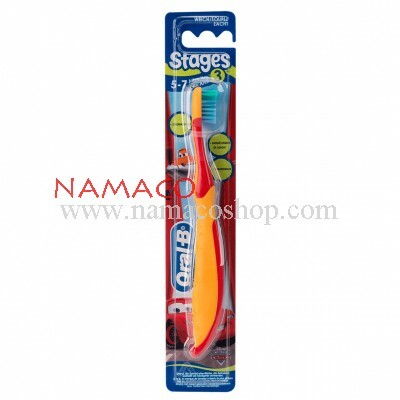 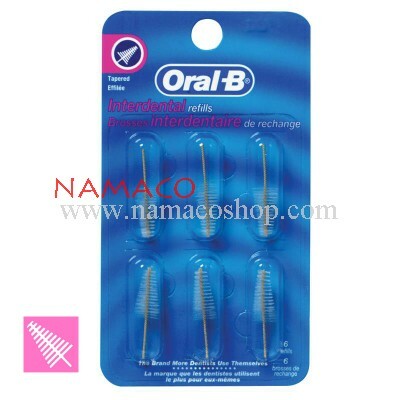 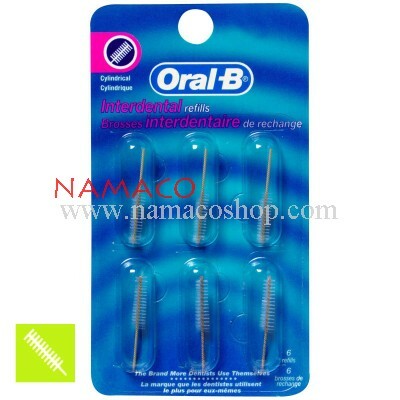 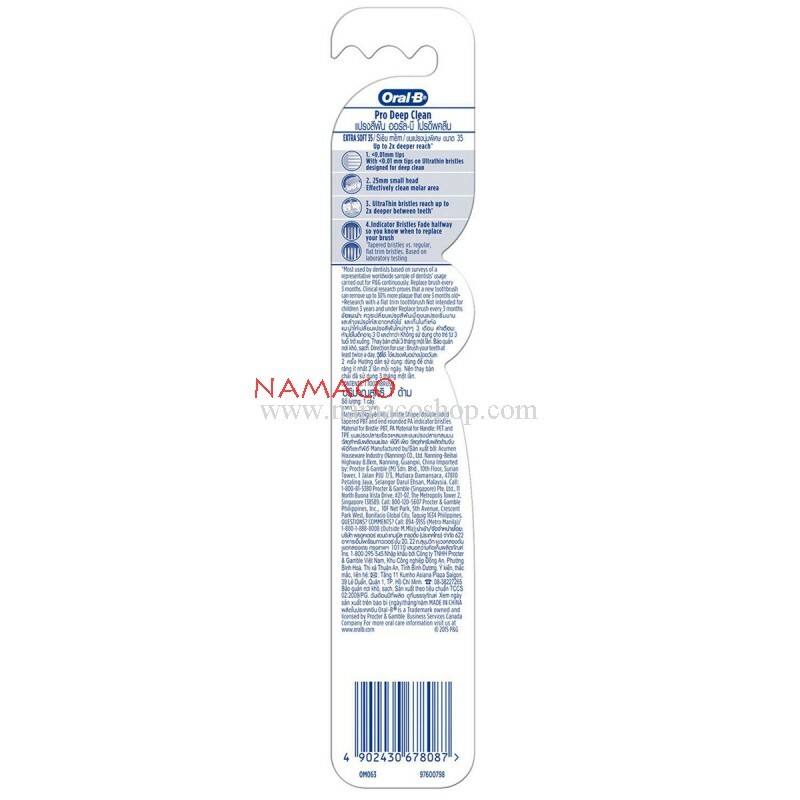 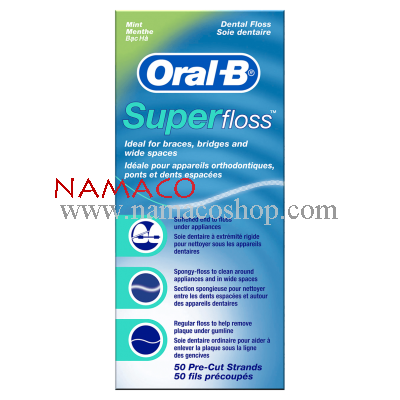 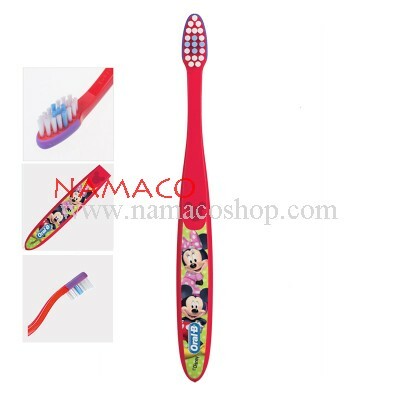 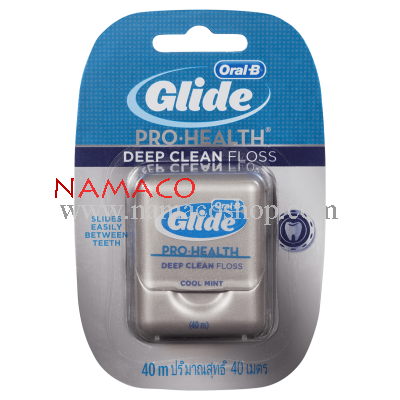 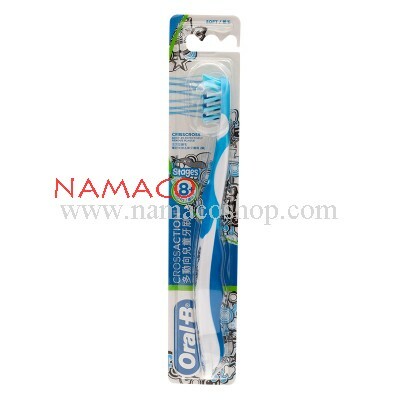 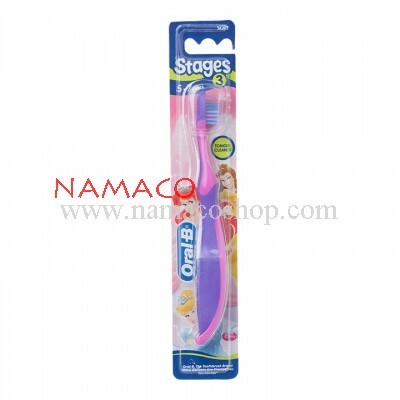 Oral B Ultrathin Pro Deep Clean toothbrush has a small 25mm head that cleans your molar area and Ultrathin bristles with 0.01mm tips that reaches up to 2 times times deeper between your teeth. 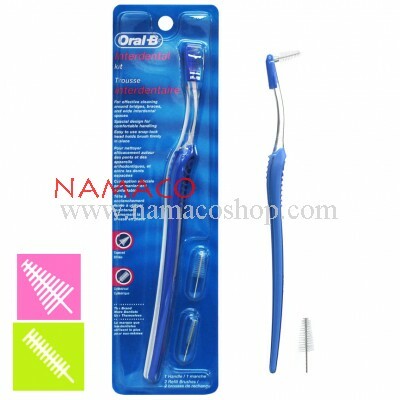 It also has indicator brisles in blue which fades halfway indicating that it is time to replace your brush. 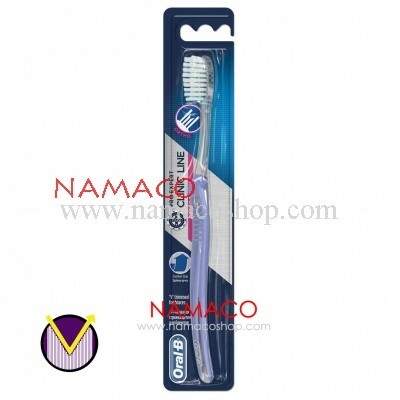 Tapered bristles vs. regular, flat trim bristles. 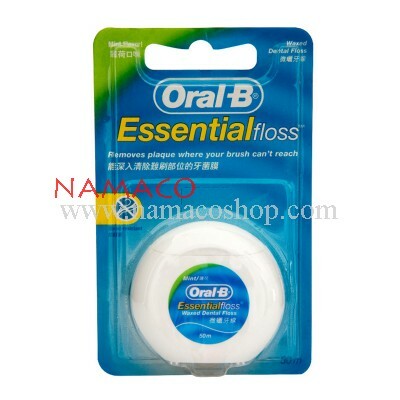 Based on laboratory testing. 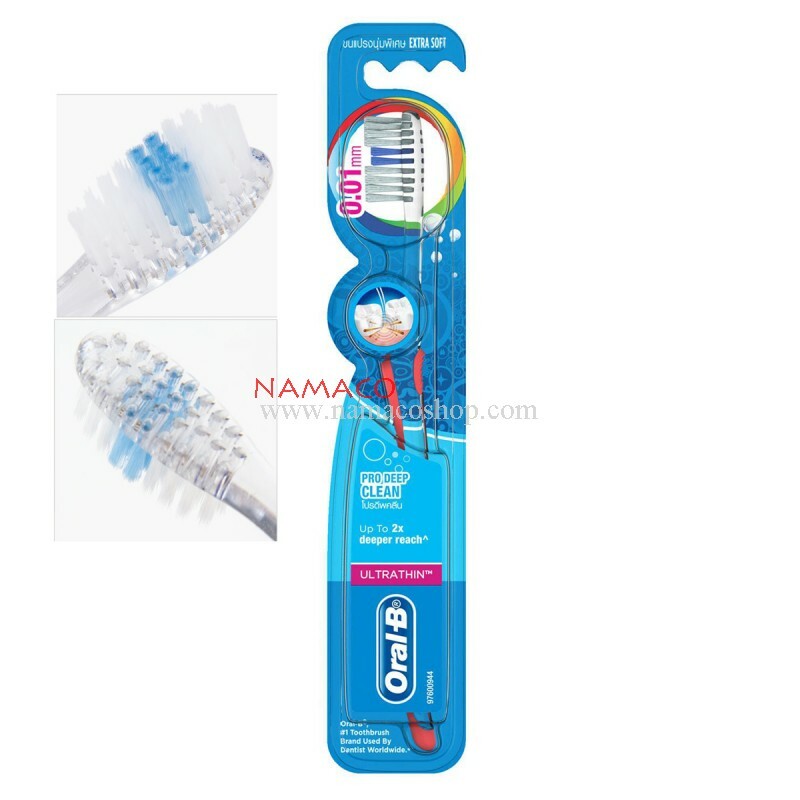 <0.01mm tips With <0.01 mm tips on Ultrathin bristles designed for deep clean. 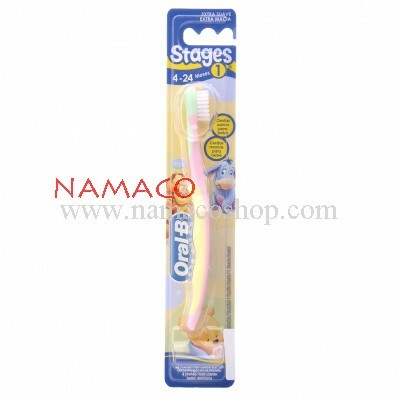 25mm small head - Effectively clean molar area.